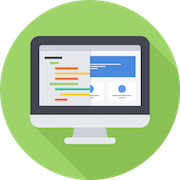 Bermotech is a London-based training company, offering a range of programming and mobile app development courses. Our courses are targeted at students of all ages and abilities, from beginners who are coding for the first time, to established computer programmers with years of experience. We also provide corporate training solutions. 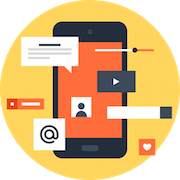 With the current technological climate shifting from desktops to mobiles, there has never been a better time to engage in mobile app development. Statistics from Google IO and Apple WWDC have shown the massive potential for mobile apps, and as more and more businesses begin to go mobile, you too can take advantage of this exciting new technology. The learning curve for mobile programming is much smaller than for other mediums, so we often find that our mobile development beginners are also first-time programmers, with no prior experience in software coding. By the end of the course, students leave with a thorough understanding of the fundamentals of mobile app development. Native Android applications are developed in Java. Native iOS Applications are developed with Swift. Objective-C is used for developing native iOS applications. Python is a general-purpose programming language.